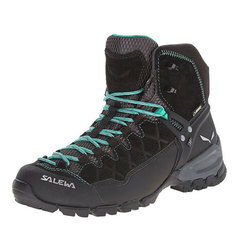 As a company with operations in Austria, Italy, Spain, Switzerland, Poland and the United States; Salewa is an outdoor company that has proven its worth throughout two hemispheres for the better part of a century. 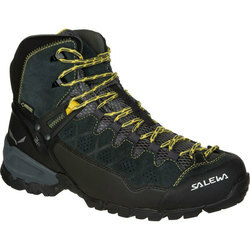 Offering both summer and winter sporting and recreational footwear, Salewa boasts premium products that take on and overcome the challenges faced when approaching alpine and mountaineering ascents as well as the all-encompassing hikes that reinforce the constitution of its wearer with performance tech that makes the word for innovation just seem obsolete. 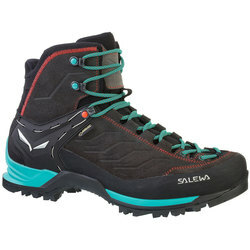 With dealers all across the United States, and world, Salewa has been providing top-of-the-line gear for the world since its inception that can be traced back to the 1930s. 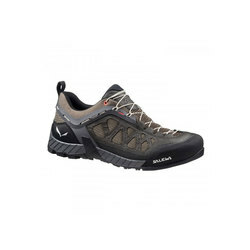 With a corporate principle that emphasizes a mission dedicated to outdoor and mountain sports, four generations of refinement has made and continues to make Salewa a leader in state-of-the-art outdoor gear. 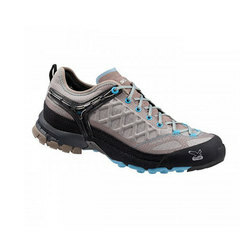 Point and case in that sense is the Salewa Mountain Trainer Mid GTX boot for men and women that takes on the technical challenges faced when hiking and trekking long-distances so you can enjoy the journey. 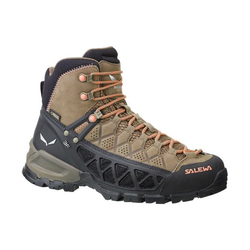 In doing just that, the Mountain Trainer Mid GTX boot boasts a variety of Salewa's pivotal technological underpinnings i.e. the 3F System EVO. In giving the gift of freedom of movement to the feet, the 3F System EVO tech offers unprecedented flexibility while at the same time giving the ankle the support it needs to traverse that rickety and rocky terrain with precision when hiking or climbing. 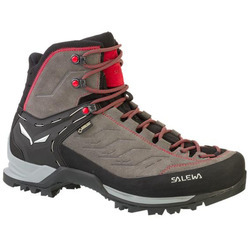 One of the latest additions Salewa has added to it's mountaineering line is the Pro Gaiter Man that reaches a new peak in performance for the next generation of professional and expert mountaineers. 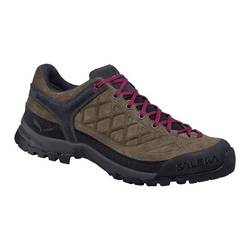 With the utilization of Salewa's SuperFabric tech, the Pro Gaiter Man offers a highly durable slash, flame, stain, and abrasion resistant upper lining that is both lightweight and breathable. 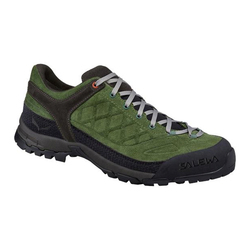 More so, the Pro Gaiter Man boasts a patented Salewa Flex System design that is the only of its kind to offer a sole that can switch from 100% stiff to being flexible when you need it to be. 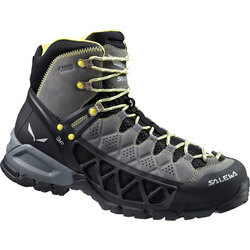 As a testament to Salewa's continuous innovation, the Pro Gaiter Man merely hints at Salewa's impressive product line. 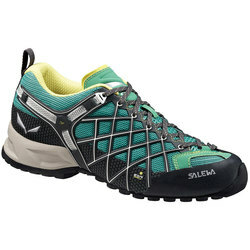 To show the merit of Salewa's products, Salewa decided to found the alpineXtrem Team in 2005 to put its money where its feet are. 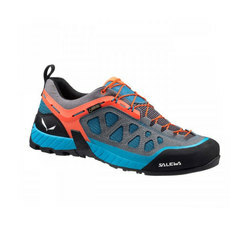 Led by Christoph Hainz, the Salewa alpineXtrem Team composed of international alpinists carry the Salewa band to remote rock faces and snow fields to push the limits on their ambitions but the Salewa products as well. From these uncompromising tests, the Salewa design team incorporates continuous improvements to give customers the best engineered products that they can depend on. With such optimized gear it's no wonder Davo Karniear, the face of the Salewa mountaineering team, became the first to achieve a complete ski descent from the peak of Mount Everest. 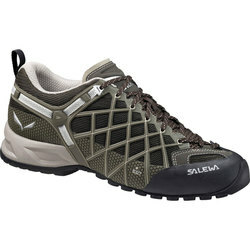 Actions speak louder than words for Salewa.